DEUTZ Corporation showed a host of new products at the American Rental Association’s ARA Show 2019 held February 17-20, in Anaheim, California. At this year’s Rental Show, DEUTZ showcased its D1.2 engine, a new model in the company’s under-25 hp engine range. 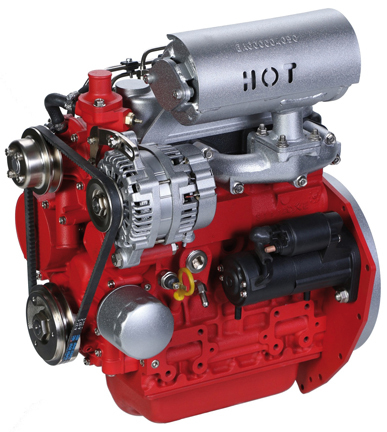 DEUTZ will offer this engine, as well as another new model, the D1.7, to better meet the needs of customers who want to efficiently power machines like aerial platforms, welders, trenching equipment and mini skid steer loaders – machines that are very much in demand within the rental industry. The D1.2 is a naturally aspirated, 3-cylinder engine offered in a 1.2 l displacement with output ratings of up to 25 hp. The D1.2 can also be utilized with the company’s new E-DEUTZ products by providing customers with complete hybrid packages that are more efficient and environmentally friendly. A DEUTZ D2011 Xchange engine was also on display – DEUTZ completely remanufactures its Xchange engines to original blueprint specifications, providing a superior alternative to today’s standard market engine rebuild. The company also featured a few other notable products, including its TCD 2.9 and TC 4.1 engines, as well as a TD 3.6 Power Pack, a ready-to-install package for mobile machinery.